We put salt on just about everything. Salt easily can transform a meal from bland to flavorful. At the same time, we are told not to put too much salt in our cooking because it is bad for our bodies to have high sodium levels. We are told there should be salt in our diet, but we have to make sure we aren’t having too much. The problem is that many of our favorite foods are staples in our home because of the flavor salt gives them. This begs the question of taste versus health. Do we compromise our health or flavor in our cooking, or is there a way to find a happy medium? The answer very well might be an alternative to our usual table salt, and can be found in another salt: Himalayan pink salt. 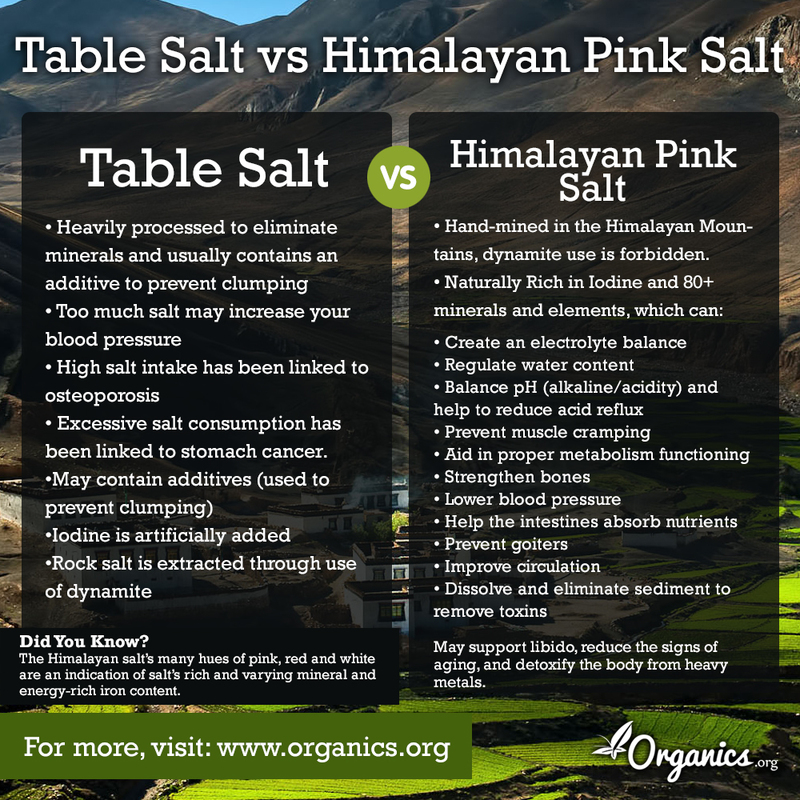 The secret to the pink salt nutritional value is found in the Himalayan mountains. It contains a mixture of about 84 different trace minerals, which are essential for nutrition. It gets its pink hue from the content of iron oxide. It is also naturally occurring, which means it is not refined like table salt (which causes table salt to loose a lot of the essential minerals it once had). Pink salt is one of the purest kinds of salt. It has numerous health benefits like water regulation, increasing our energy, and lowering blood pressure, just to name a few. Salt is bad when it comes to refined salt. Salt is made up of sodium and chloride, which are essential for life. We need the benefits of these two minerals, just not in a highly-processed form like table salt. In comparison to table salt, pink salt is the clear winner. Pink salt has all of the benefits (plus more) of table salt, with less sodium. For example, it can be used in water to spice up a boring glass of H2O. 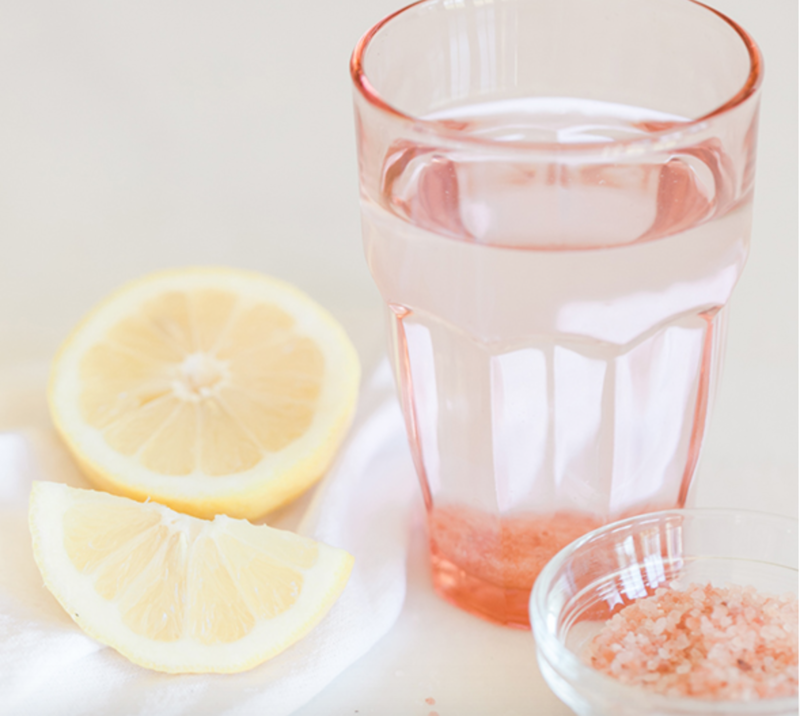 It’s so easy to make your own pink salt water sole (water that is saturated with natural salt). This will help you rehydrate, boost energy, and work as an anti-histamine. 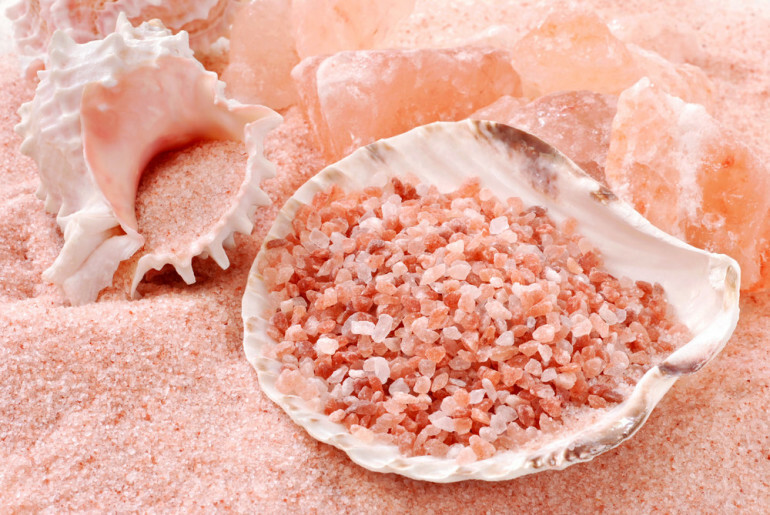 The pink salt nutritional value in water has also been proven to improve the health of your hair, nails, and skin. You can use pink salt in cooking as well as a variety of other uses, like bath salts in order to help with sore or tight muscles. The pink color is gorgeous, so it even makes for a good decoration that is sure to be a conversation starter. Start the conversation about pink salt and let others in our your new, salty health secret. Again, I applaud Samantha for writing this and I’ll leave you with a helpful health tip, use a teaspoon a day on himalayan pink salt and mix into a gallon of water and enjoy. This wil keep you hydrated and help you top off your mineral levels. Also, himalayan salt lamps make for a great soothing room decoration and they also neutralize toxins in the air while it’s on and they are inexpensive as well. If you enjoyed this blog post on pink salt nutritional value, be social and share!